Z Prep! 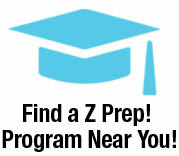 PSAT exam tips to help students prepare | Z Prep! If you’re starting to think about college, you probably know that the PSAT is a first step in the process of getting into a college of your choice. Its main purpose is as a practice test for high school students to prepare for the SAT. The SAT is the actual college entrance exam taken in the senior year that most colleges and universities use, along with the ACT, to decide who they admit to their school. Taking the PSAT is a great way to get started with your college planning process, and it has other advantages for you, too. Preparing for the PSAT will help you establish good test preparation skills and improve your PSAT score for a better chance at scholarships. Here are 10 things to know to help kick your PSAT prep into high gear. The PSAT/NMSQT is the qualifying test for National Merit Scholarships. Take this test in the fall of your junior year to automatically be considered for this and other prestigious scholarships, and to get on the mailing list of colleges looking for students like you. Should you take the PSAT10 or the PSAT/NMSQT? There are actually two versions of the PSAT test: the PSAT/NMSQT and the PSAT10. The PSAT10 is geared toward sophomores who can take it in early spring as a practice exam. The PSAT/NMSQT is slightly more advanced and is usually taken in the junior year. Only the PSAT/NMSQT will qualify you for National Merit scholarships, so this is the one usually recommended if you only take one of the tests. Take challenging high school courses. The PSAT tests your skills in math, reading, and reasoning, so the best way to get ready is to be following a solid college prep curriculum, and make sure to master the material in your classes in the years leading up to the test. Focus on English and math. For the best PSAT review, focus on these core subjects. The test has three parts: Reading, Writing and Language, and Math. Make reading a regular habit so you develop good comprehension and vocabulary skills. Take Algebra and Geometry in your Freshman and Sophomore years which will give you strong foundational math skills for the PSAT. Take a PSAT “practice exam” to find your weak spots. You can find sample test questions online to get a feel for what the test will be like, but you should plan to spend a Saturday morning taking a full practice test to build your stamina and comfort level with the test process. PSAT tutoring for help with problem areas. If your practice test results show that your skills need a little work, it’s a good idea to seek help from a tutor. Falling behind now in basic academic skills can result in a poor SAT score later, making it harder for you to get into the college you want. Often even a small amount of test preparation tutoring can get you back on track and also teach you good skills you can use to succeed in your classes as well as the SAT later on. Choose a familiar testing location. If the test is offered at your school, make every effort to sign up for that date. If you end up going to a different school, check out the test site a few days before so you’re confident about where to park and know how long it takes to get there. Get a good night’s sleep. No football games, late night pizza runs or sleepovers the night before the PSAT. You need at least eight hours of sleep the night before, and no studying is allowed. Spend a relaxing night at home and clear your mind to be ready for the next day. Pack smart. The night before the PSAT, pack a small backpack with several sharp pencils, a bottle of water, a protein-packed snack and your ID. Set it by the door with your coat so you’re all set in the morning. Set your alarm early. Give yourself an extra 30 to 45 minutes in the morning to make sure you have time for a healthy breakfast and can arrive early to the testing site. You definitely don’t want to be late! Taking the PSAT is a big step toward your future. With a little preparation you can do well and get closer to your college dreams. Z Prep! 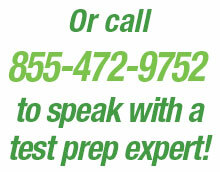 can help you prepare for the test with our PSAT test prep program. Contact us for more information.